If you aren’t sure who to choose to clean your carpets, your best bet is to choose a Certified Professional Carpet Cleaner in Birmingham AL. Heaven’s Best Carpet Cleaning of Birmingham is certified by the Institute of Inspection Cleaning and Restoration Certification or IICRC for short. The IICRC sets standards for the carpet cleaning industry in more than 25 countries including the United States, Canada, United Kingdom, Australia, New Zealand and Japan. They offer certification classes to ensure carpet cleaners are using the most current processes and techniques for cleaning your carpets. In order for a company to become certified, their technicians must attend yearly training classes and must pass tough exams that assess their knowledge in order to receive certification. Heaven’s Best Carpet Cleaning of Birmingham’s Technicians are all IICRC certified and the firm is also certified. 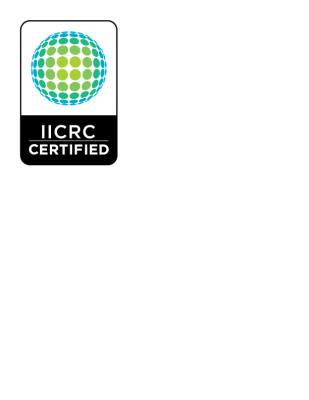 In order for a company to become certified by the IICRC, they must abide by the strict IICRC standards of professionalism which include honesty, integrity, and competency in Carpet Cleaning and dealing with consumers. A certified IICRC firm must maintain all required licenses, permits and bonds, as well as carry adequate insurance to protect consumers. Heaven’s Best Carpet Cleaning carries a $2 million liability policy to cover any accidents that occur in a customer’s home or business. Heaven’s Best of Birmingham promotes continued training and learning for all our staff so we are able to offer the most current technology and processes to properly clean your carpets and floors. As an IICRC certified, we are bound to provide consumers with accurate information regarding our prices, services and products. Bait-and-switch operators are prevalent in the carpet cleaning industry, but this does not mean that all carpet cleaners are rip-off artists. How do you know who is and who is not? The easiest way to pick a carpet cleaner is to find one that is IICRC certified. The IICRC is a leader in taking action to help eliminate unprofessional workmanship and unethical tactics. So, if you go to the IICRC website and enter in your zip code, it will list all the certified firms in your area. If you are looking for a Certified Professional Carpet Cleaner in Birmingham AL you will find Heaven’s Best Carpet Cleaning of Birmingham on the IICRC’s list of certified firms. Don’t get scammed by unscrupulous carpet cleaners, call Heaven’s Best Carpet Cleaning of Birmingham at (205) 618-9150.